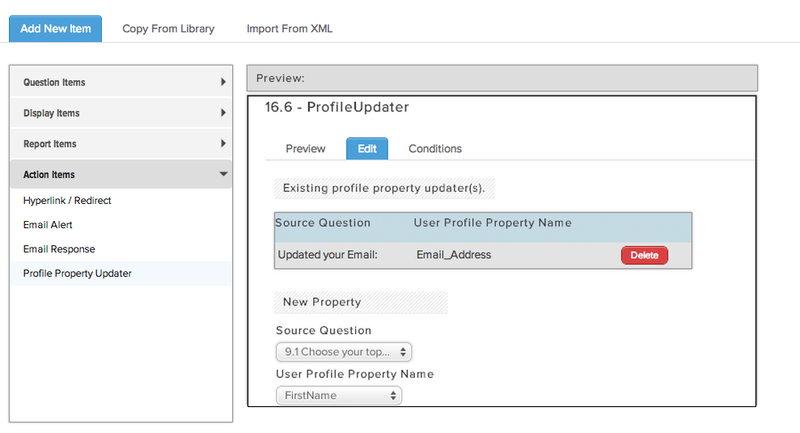 Tips & Tricks - User Profile Property Updater – Checkbox Survey Inc.
Add Questions to Collect Your Data - Now you'll want to collect the info that will populate your user's Profile Properties. In this example, we created a simple survey with open-ended single line text items to collect the values for First Name, Last Name, and Phone Number. Add a new item to your survey and choose Profile Property Updater under Action Items. 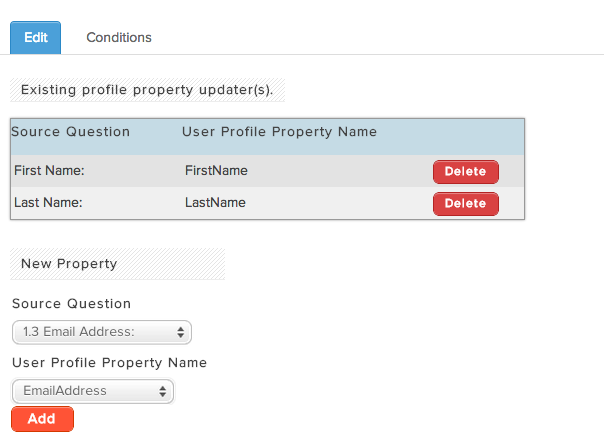 Choose the Profile Properties you want to update and the questions you want to use to update those values. Click Save. Thanks for reading - now go create your own survey with our Free Trial or review more Checkbox tips and tricks on our Documentation page.